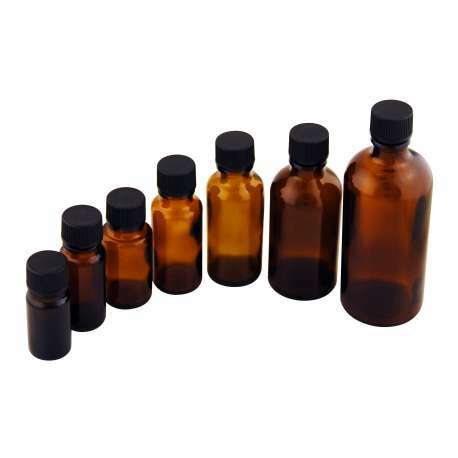 15ml amber glass dropper bottles. Purchase lids or droppers separately. 15ml amber glass dropper bottles. Lids must be purchased separately. Black plastic tamper evident lids with dropper fitment insert, white plain caps, brush fitments or glass pipette assembly with rubber bulb must be purchased separately for this item.